I sometimes get caught up in the emotional crossfire of the 'Mommy Wars' and social media rants. Defensiveness and guilt are frequent visitors at my hormone-flooded, sleep-deprived doorstep. But in my calmest and most introspective moments, I embrace the fact that my child doesn't fit neatly into a box. He is a dynamic, unique and responsive little soul who needs and deserves a Mother who transcends labels or categories of parenting. The one tiny word that best guards me from guilt and worry as I mother from my heart and soul is AND. I am an Attachment Parent and controlled crying is the only way I got my baby to sleep at night. I am a homemade organic baby food making mama and I buy Puffs and pouches. I'm a Bradley Method natural child birth warrior and wound up with an epidural. I'm a "stay at home mom" and I work 2-4 hours every day, 7 days a week. I attend La Leche League meetings and I wear a nursing cover in public. I loved co-sleeping for six months and I'm so glad to have my bed back. I have a drawer full of cloth diapers and my son wears Huggies. I like a lot about Baby Led Weaning and my child eats purees three times a day. I'm a Boba-loving babywearer and I get much-needed physical and mental space on stroller walks. I am Montessori obsessed and my baby sleeps in a crib and sits in a high chair. I believe that fear and insecurity in this high-stakes game of parenting are at the root of the Mommy Wars and Either/Or parenting approaches. There is no one "right way" to raise a child and that is terrifying. We don't have the intergenerational culture of the good ole days when you introduced solid foods to your baby or got him to sleep the way that your mother and grandmother and aunts told you too. Without a close circle of experts, we feel the pressure to be our own experts based on our own "research" (which usually amounts to some combination of Google, blogs and books). We latch on to parenting trends and branded approaches because they give us a false sense of steadiness in the uncharted and lonely waters of raising a happy and healthy human being. Allowing more AND in your parenting is messy and uncertain. It means feeling a low-grade awkwardness around groups of like-thinking moms when all I want is to fit in. It means long-winded answers when people ask how we introduced solids, how we helped our baby sleep or how our labor went. It means constantly reminding myself that I am not a failure because I don't stick with a particular "program." But, if I want to raise a critical and independent thinker, a free spirit, a gut-listener, a life-long learner true to his authentic self, I must challenge myself to parent in that same way. How do you add more AND to your parenting? Leave a comment below. 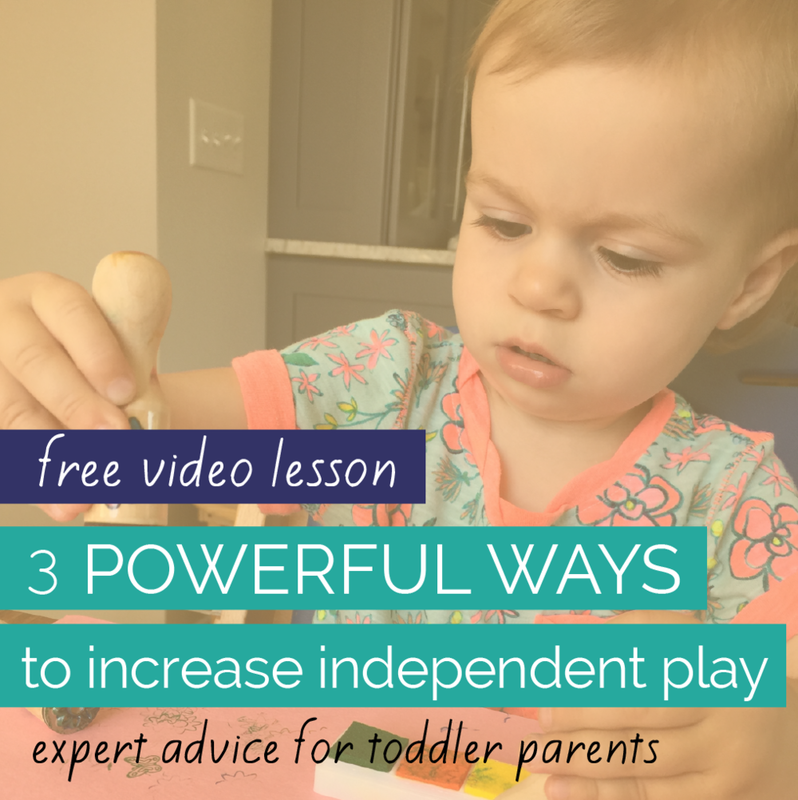 Pinning and posting parenting inspiration, baby play ideas and early childhood development tips daily!